- 2 sleeves, 1 torso covering and 1 collar. Assembled. You know on that 80's movie "Say Anything" where Lloyd Dobler is hanging out at the Gas'n Sip with his buddies and they are giving him all kinds of advice about relationships with women. Then Lloyd says, "I got a question. If you guys know so much about women, how come you're here at like the Gas 'n' Sip on a Saturday night completely alone drinking beers with no women anywhere?" And Joe says, "By Choice, Man." That really has nothing to do with this shirt, other than the fact that those dudes had no experience to back up their advice, and you don't have to look like loser by choice. Choose to be cool, it's not that hard. 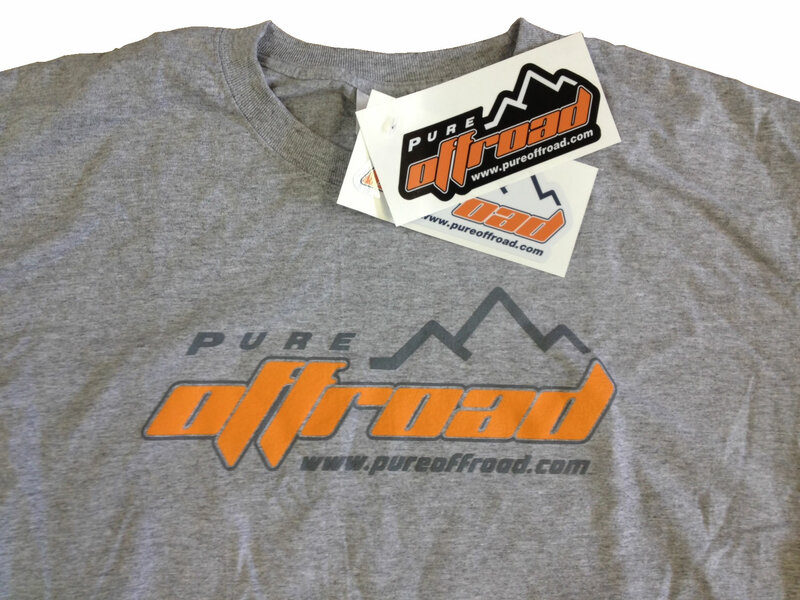 Pure Offroad cares enough to help you out. 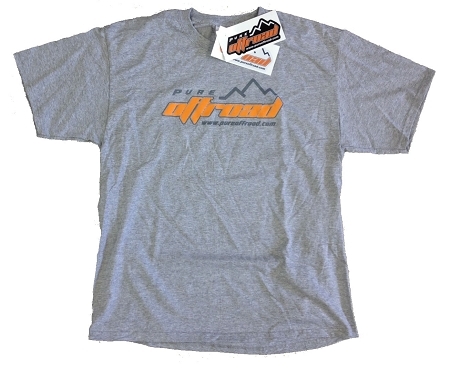 What we're offering you with this T-shirt is just that little bit of extra cred that you know what you're talking about when it comes to offroad adventures. Even if you don't have it, you'll look like you do. When you're buddies need offroad advice, they won't go to the guy wearing his Celine Dion '09 Tour concert T, they'll go to you! The man. The go to guy for offroad gear help. Sport this Pure Offroad T and you'll go from the tail end of the offroad convoy to the daredevil leading the pack, blazing the trail. Of course we can't promise that, but chances are pretty decent in your favor. Plus, the ladies will dig you in this T-Shirt, and that's something we can all agree on. Great shirt and high quality.